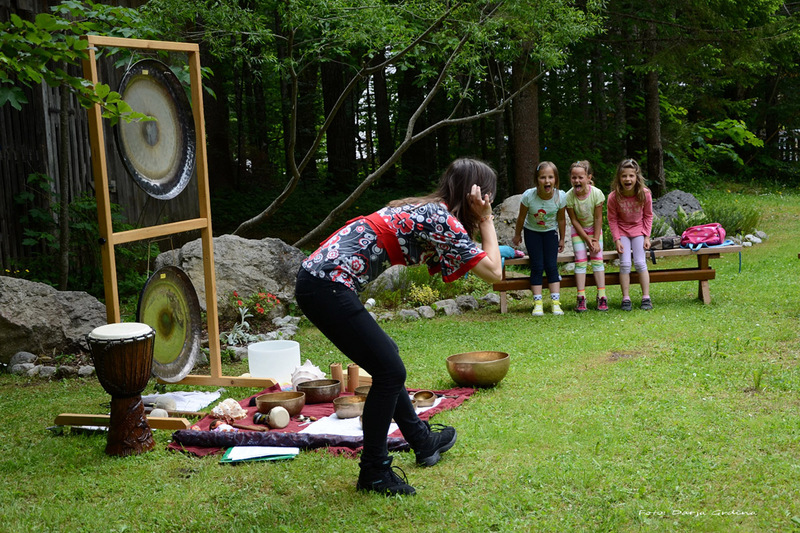 With fairytale about Gong I invite children to listen and create different sounds. They enjoy rythms and slowly feel peace moments, they make them calm. For 10 – 40 children. These days, everyday events remind us of the beliefs and emotions that we have not yet accepted and released, so we need to constantly and consciously remember to open our hearts to new insights and a different way of life. How can you help yourself with this, every day? How to direct energy in your lives every day? What do you do, when you feel tension, stress? At the workshop, you will learn what you can do for a better quality of life and how sound and music can assist you in doing so. 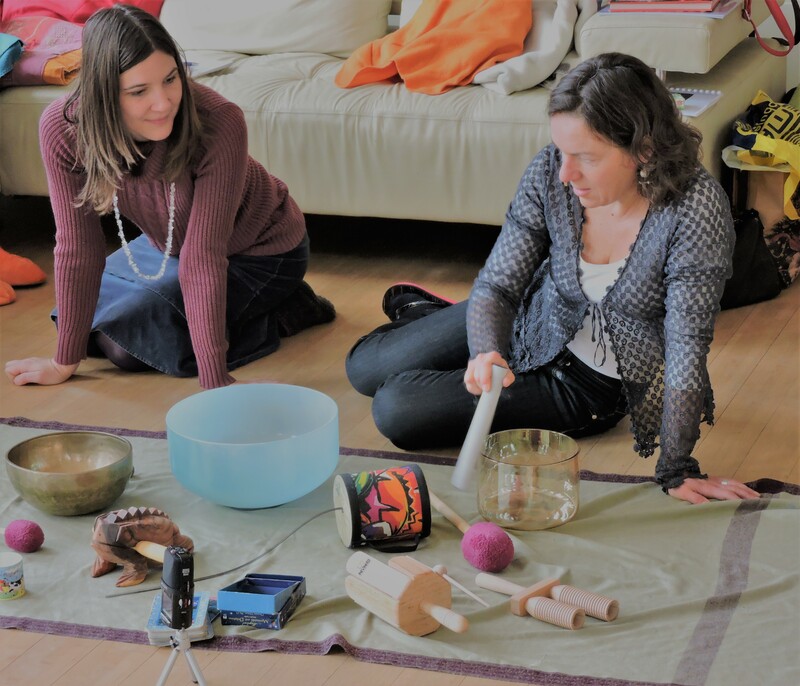 The workshop will be carried out via techniques in a couple, conversations, your own experiences, and at the end I shall carry out a sound bath for relaxation and support of your activities. Two arguments are important in business: “Transactions are usually made with people”, and ”Companies without employees could not exist”. As you can see, one of the most important tasks of entrepreneurs is to please their employees and their business partners, enabling them to do something that will give them a profound personal experience (perhaps it will contribute to their happiness and health), while at the same time connecting them into a common whole and enabling further co-creation. To this end, the Sound SPA is a part of the story, because it allows all participants to be more relaxed, to connect to others, improve their communication and relationships. 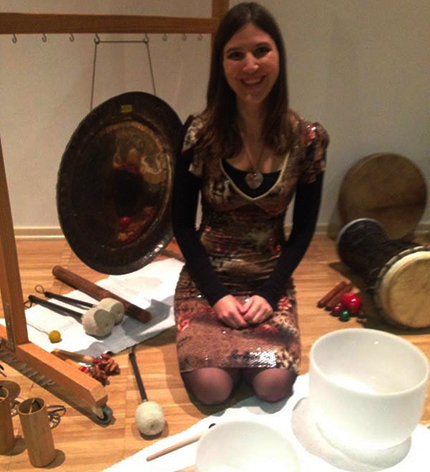 This is a comprehensive approach to the implementation of sound bath, along with a special intended purpose for the participants. First, the purpose of the whole group is determined and in the introductory part the connection with individuals is established, opening up the space for new insights. 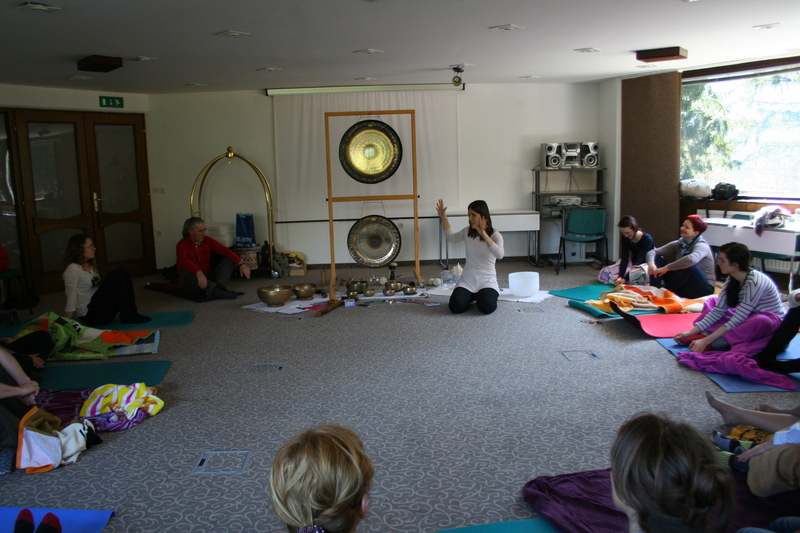 Participants indulge in sounds that bring them to a state of deep relaxation and inner peace. 1 hour of listening to the sounds of instruments can be equated with 8 hours of sleep. Lying down, they indulge in the pleasures of top-quality instruments – gongs, Sound Galaxies crystalware, crystal lyre, Indian flute, vocals and other instruments. At the end of the Sound SPA comes the time for ‘business cycle’ where the participants, in pairs or in a circle, express their experience to others thus opening themselves to a deeper understanding of others. The workshop can also be a part of the program implemented in companies, entitled ‘Health promotion in the workplace’. 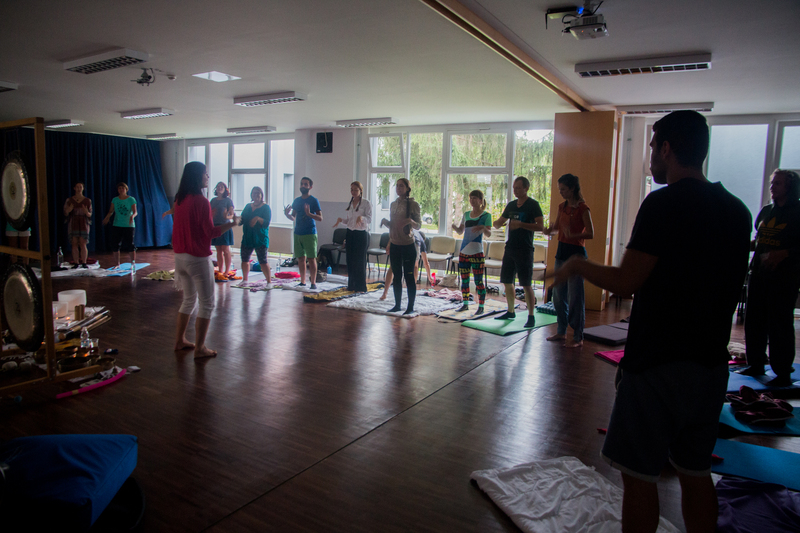 The purpose of the workshop is to open up a space where people can feel safe, in order to acquire knowledge about their own physical bodies, identify their needs and become aware that health and happiness are key factors for quality of life both on a personal level and in the business sector. To open the heart and support area for a company, together with an insight into its operations and new opportunities.